When did the Olympic Games begin? Who are the greatest athletes? With dramatic photos of Usain Bolt, Jessica Ennis-Hill and more, this is the story of the world’s biggest multi-sport event, from Ancient Greece to present times. With internet links to selected websites, and index and contents pages. 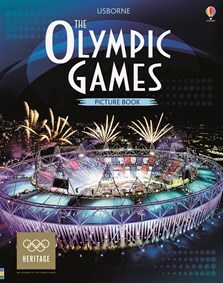 Produced with the International Olympic Committee (IOC).